The best organic solution for controlling weeds in a safe way. Weed control is a nuisance that both farmers and lawn and gardens combat daily. We’ve dubbed 2016 the year of the weeds and pests! In TN the climate has been perfect for production of weeds- we started out the growing season hot and dry which quickly turned hot and rainy. Our farmers and gardeners have been battling weeds and pests like no other. 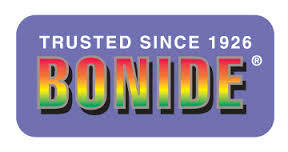 We at Williamson County Farmers Cooperative have been working with customers to help them have a profitable farming year and successful summer garden with the help of many products including Bonide. Bonide has a full line of products for your home, garden and farm, whether you want to manage things organically or conventionally, we have the answer to your problem! Visit this link to match your weed to our weed finder chart to learn which of our products will help control your weeds best. The best way to control weeds in your yard is to build up your grass. Bonide Lawn Fertilizer and Seed can help you have a beautiful, weed free lawn. Mosquitos thrive in tall weeds, also, so keeping a manicured lawn will help keep harmful pests at bay. If it’s a natural product you’re looking for, the Mosquito Beater Natural Granules can be applied to your lawn and successfully repels harmful mosquitos for up to 3 weeks! This product is made of Geranium Oil, Lemongrass Oil and Citronella Oil. It repels more than mosquitos, too! Use the natural spray or granules to keep gnats, flies and other nuisance insects away from your home. 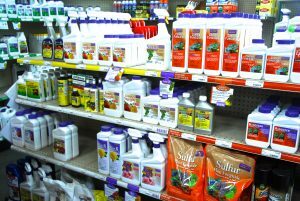 We have a full selection of Bonide weed control products to help the home lawn and garden or farm. This season has been tough on our usually prolific tomatoes and other vegetables with the hot, rainy weather that has caused pests to thrive. Gardeners and farmers have come to us for help and we have turned to the The Garden Naturals Collection from Bonide. There are many natural projects that are not only safe for the environment, but that also work! For insect control, Bon-Neem II is a great broad spectrum fungicide, insecticide and miticide for control of not only insects, but successfully and naturally controls diseases and mites on vegetables, herbs, roses, houseplants and more. Captain Jacks is another great product for insect control. It can be used on fruits and vegetables for organic production to control bagworms, borers, caterpillars, loopers, spider mites and more. 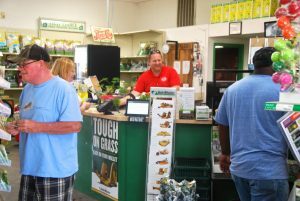 Our Garden Center help desk is for all our customers to answer any questions you might have. 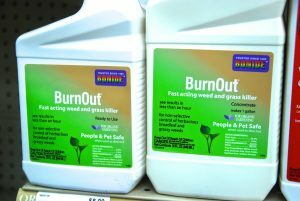 For weed control on your farm or lawn and garden, we recommend Burn Out. Burn Out is approved for certified organic farming and gardening and is safe for use around pets and people. It kills all types of weeds and grasses and is rainproof after it dries. We recommend Burn Out Weed and Grass Killer for use around the base of mature trees, around driveways, sidewalks, fence lines, barns, pastures and any other area where weed control is desired. Our livestock farmers who want to manage weeds naturally use Burn Out around their electric fencing to keep weeds from shorting out their fence. It’s not only great for the home gardener, but it’s great for our farmers, too! We know that farming and gardening is hard enough without having to battle weeds and pests. So much of it is a gamble as our farmers depend on Mother Nature and are at her mercy. That’s why we at Williamson County Farmers Cooperative do everything we can to answer your questions. We can do a farm visit and help you determine which products you will need, and are happy to help you in our store. From conventional to organic, we have the Bonide product that will help you succeed in your garden or on your farm. Come visit us today! 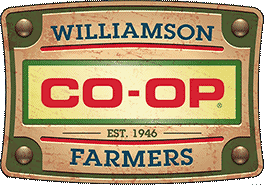 The Williamson Farmers Co-op is celebrating its 70th year and has the only full service help desk in Middle TN for your farming, lawn and garden needs.